Writing The Deconstruction of Professor Thrub, I had to create various fraudulent artifacts: fake academic essays, newspaper columns, a love letter. But the toughest bit was creating Lempi’s poems. Lempi is the narrator’s translator, and the object of his desire, and she’s also a poet. I wanted to include some of her poems, but, unfortunately, what I know about poetry wouldn’t fill a haiku. Still, I’ve been giving it a go, and yesterday I wrote a poem about squash (the sport, not the vegetable). Seriously. the shot you knew I’d play. I made the mistake of reading this poem at the pub last night – it wasn’t treated with the gravitas it deserved – but the real question is ‘why squash’? I took up squash a few years ago, having reached the age at which it was either that or have an affair. Boom boom. No, I’d been discouraged from playing contact sports, I was chronically unfit, and I had no friends. Think about it: Squash is highly competitive, but it’s unique among racket sports in that the players must share space and cooperate to keep the game flowing and safe; squash is easily accessible (you can get a racket for £10 and you’re good to go), but it’s an intense form of exercise, and it was rated as the world’s healthiest sport by Forbes Magazine; and squash is one of few sports that one can happily play alone. 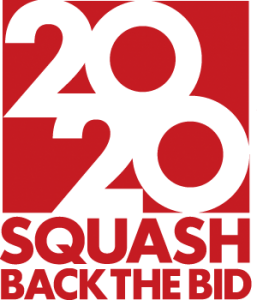 Squash is bidding to be in the 2020 Olympics, and this video explains some of the reasons why it should be included.